Ms. Radisic is considered one of the most creative scenic artists, having a major influence on other designers working in her field at the moment. Ms. Radisic’s designs for theatre, dance and opera productions are marked by a synthesis of her European training and her own whimsical imagination. Her work has been seen on stages throughout the country, internationally and on screen. Ms. Radisic holds a double BA from Belgrade University in Fine and Applied Arts, and an MFA from Belgrade University in Costume Design. 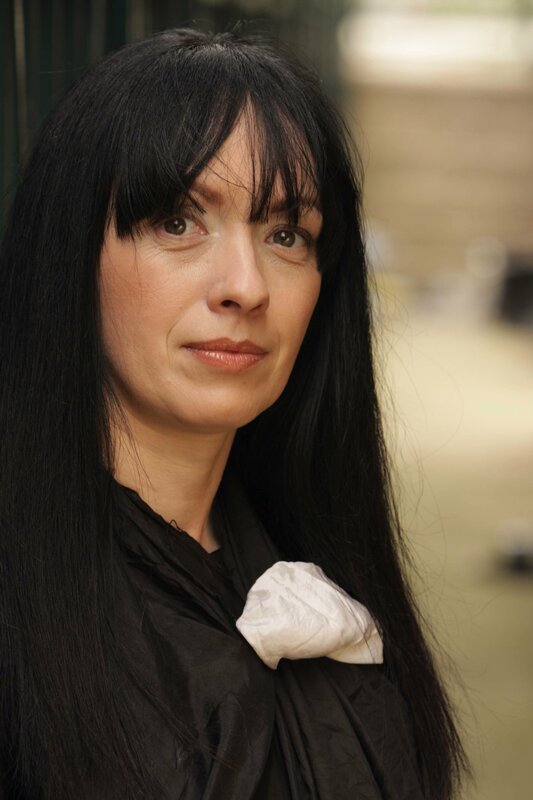 Ms. Radisic is member of Supervisory Board at Film Ceneter of Serbia. She is a former Committee Chairman of a Set and Costume Design sections of ULUPUDS – Association of Applied Artists and Designers of Serbia. She is Artistic Associate at Redmoon Theater. She is also a member of the United Scenic Artists-Local 829, Costume Society of America, USITT (Association of design, production and technology professionals in the entertainment industry), OISTAT International Organization of Scenographers, Theatre Architects and Technicians) and Association of Applied Arts Artists of Serbia as Independent Artist. Ms. Radisic’s work has been seen in USA, Serbia, Croatia, Germany,Romania, Ireland and Tasmania-Australia. Her work includes groundbreaking experiments in costuming in her collaborations with Chicago’s Museum of Contemporary Art, Steppenwolf Theatre, the Goodman Theatre, Court Theatre, Writers' Theatre, Redmoon Theate, Drury Lane Water Tower Place, Drury Lane Oakbrook Terrace, Blair Thomas and Co., 500 Clown, Hedwig Dances, Victory Gardens Theater, Northlight Theatre, Live Bait Theatre, American Theater Company, UMA Productions, Apple Tree Theatre, The Notre Dame Shakespeare Festival South Band, Creede Repertory Theatre Company, among others. Radisic’s film work includes the costume designs for Top je bio vreo, Kad bude-bice, Nova, Gray In White And Black And Up On The Rope. 2016 – Award for Best Set Design at 52nd Festival of Professional Theaters of Serbia "Joakim Vujic"
1999 – First prize of Association of Applied Arts Artists of Serbia “Diploma 1999”. Tatjana was named one of the Fifty Leading Players In Chicago Theatre by New City Magazine and has been featured in Chicago Tribune, Chicago Sun-Times, PerformInk and on many TV and radio appearances. Thank you for visiting Tatjana’s design portfolio. Please check back often for more updates.